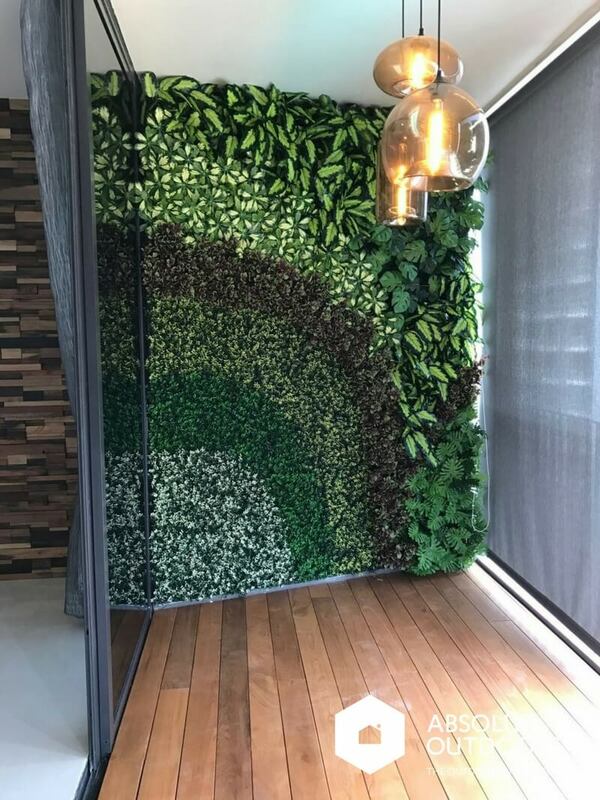 Singaporean homeowners are embracing a softer feature wall these days with artificial green walls. 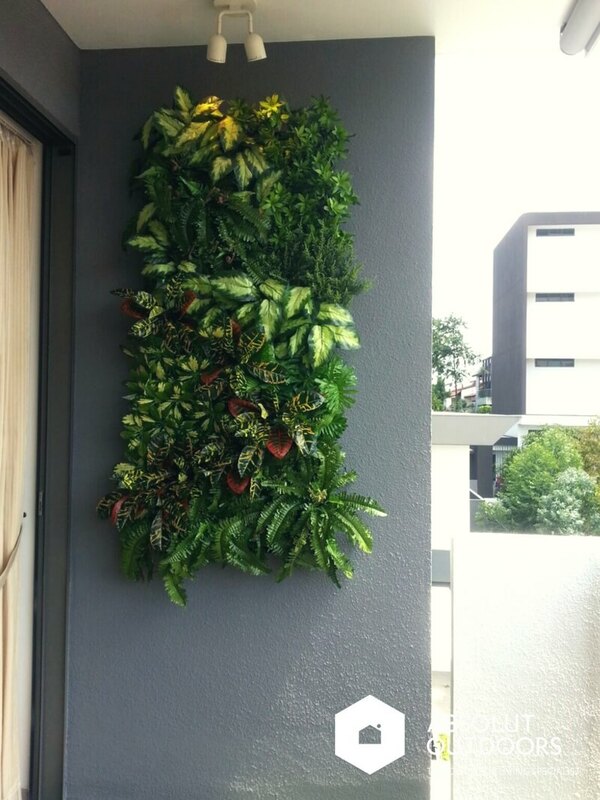 Artificial vertical garden walls that don’t require any watering and won’t pose any mosquito risk are used both indoors and outdoors as wall cladding or like an art piece. Here are some recent projects that we completed for our customers. 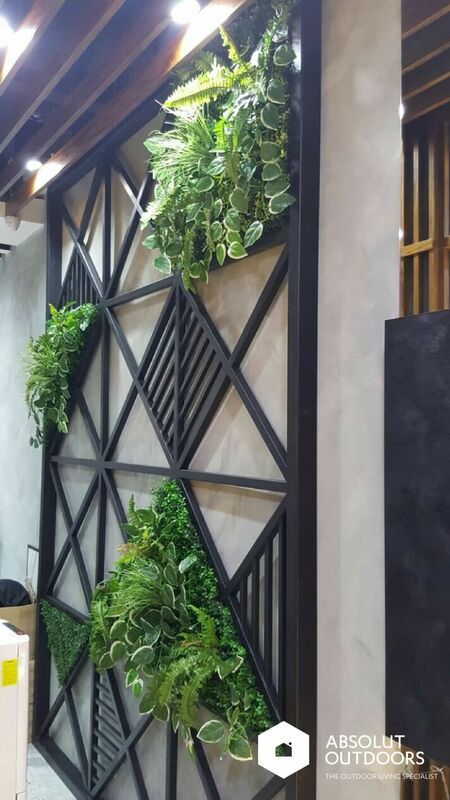 As we stock more than 100 types of artificial plants, we manage to add a unique element to each of these artificial green walls that we built. 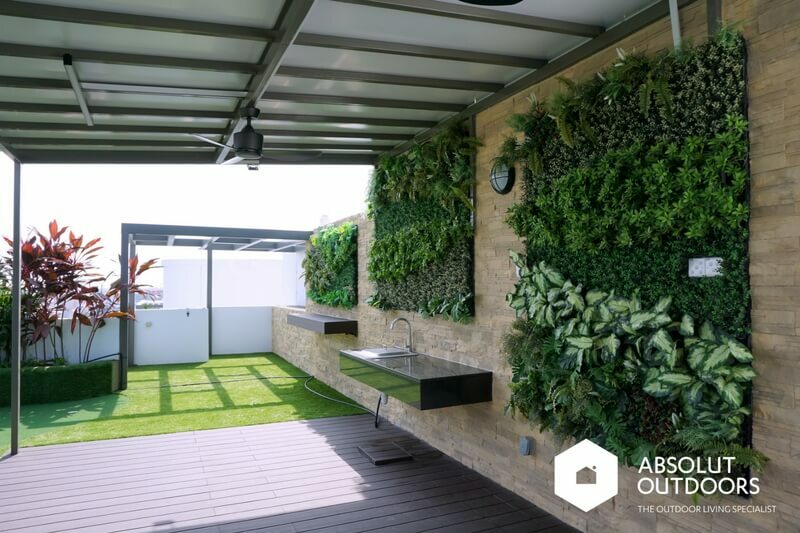 From dining rooms to balconies, roof terraces and retail shops, we’ve got your walls covered. 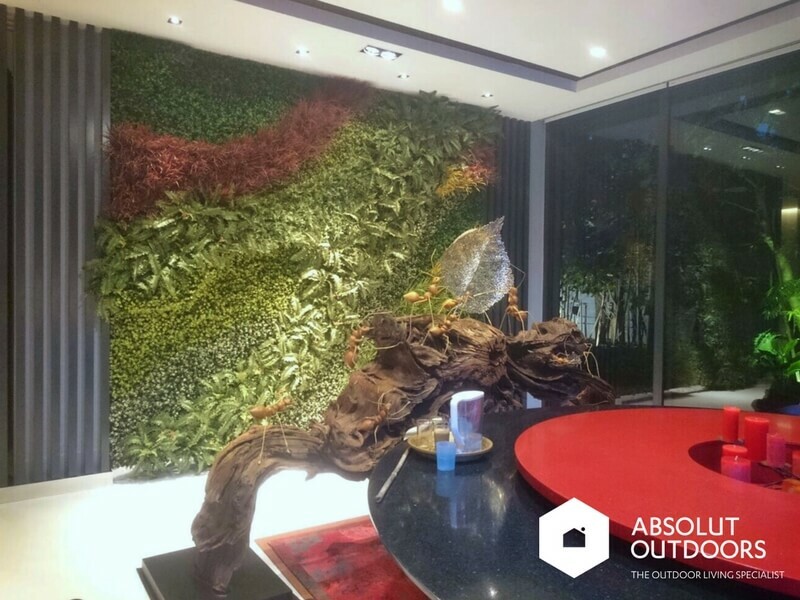 Drop us an email at enquiry@absolutoutdoors.com or CONTACT US here for a no-obligations discussion on your very own artificial green wall. We’d love to help!